I finally finished pages two and three. It didn’t take much more time for me to finish it but I wanted to take a break from it for awhile. As you can probably see, this page took a lot of time over all. I cut out all the letters and sewed one set on, sewed on the buttons and then did a blanket stitch around the letters that get buttoned on. 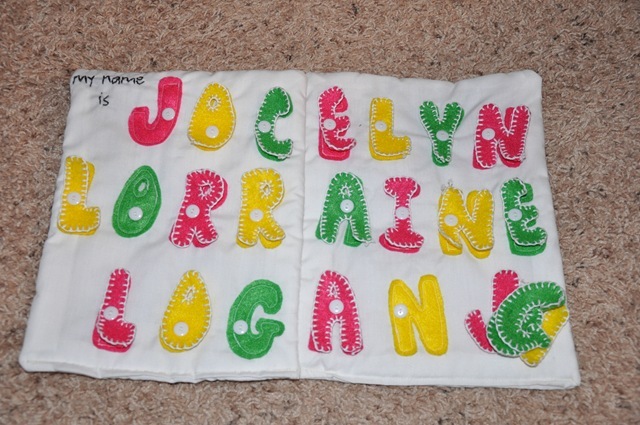 I got this idea from homemade by Jill too, except she just did her son’s first and middle names. 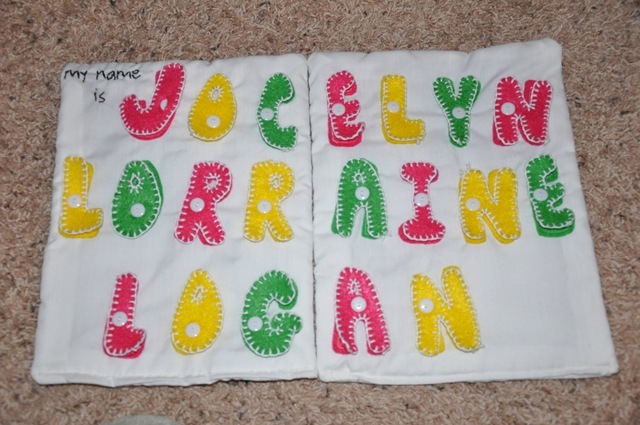 Jocelyn’s name is so long but she will have to learn to spell it someday. This page will hopefully keep her busy!